In search engine optimization, on-page optimization refers to factors that have an effect on your web site or web page listing in natural search results. These factors are controlled by you or by coding on your page. 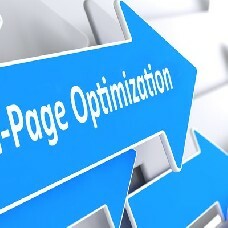 Examples of on-page optimization include actual HTML code, meta tags, keyword placement and keyword density.